Homeopaths, Italian judges, vaccination and pharmacists. Plus hearts, hitchhikers, poets and puns. For more information on homeopathy regulation, see the Malleus Homeopathicum blog. For more on the MMR story, see the Stuff And Nonsense blog. Episode 13 of our satirical comedy podcast. With questions on skeptical topics, and four guests answering them. Mike Hall (@mikehall314) President of Merseyside Skeptics Society, producer and presenter of the Skeptics with a K podcast and QED organiser. Katy Hall (@SkeptiKat) Delightful recent skeptical immigrant, veteran snake handler and spider wrangler. Also somehow decided to marry Mike Hall. The Merseyside Skeptics Society is pleased to announce a special additional talk for July. 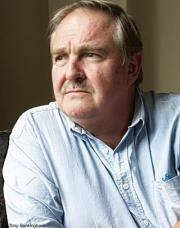 We will be joined by Professor David Nutt, current Edmond J Safra Chair in Neuropsychopharmacology at Imperial College London. Professor Nutt was a member of the Committee on Safety of Medicines, and was President of the European College of Neuropsychopharmacology but it was during his chairmanship of the Advisory Council on the Misuse of Drugs (ACMD) and his refusal to fudge the issue of perceived drug harm that brought him into the public spotlight. Please note that this additional talk for July will be on a Monday evening, rather than our usual Thursday slot. Games, gardens, Greece and goals. Plus cats, corrections, children and confirmation bias. With British passports, it’s Skeptics with a K.